I’ve never been the type to soak in a tub of colorful water for hours, let alone one hour, but that all changed when the owner of Cannabombz reached out to me on Instagram last year! First things first, her name is Lindsey which made me fall in love with her immediately. Who doesn't like to meet another amazing female killing it in the industry WITH THE SAME NAME AS YOU! Lindsey is the sole owner of the company but she has her Mom and her best friend/sister working with her to manage the business. They are real assets to the company and have helped her run a retail and wholesale business. Like many entrepreneurs her business started out in her kitchen as a true cottage industry. It quickly grew into a passion when she noticed the wonders her new products were providing for her foot after her surgery. Unfortunately Lindsey has a cadaver bone as well as metal inside of her left foot from her other career - dancing. She realized that she had developed a valuable product when she noticed her pain drop significantly just from performing a 10 minute soak with her “bombz”! In the short time I have known her, I have watched Lindsey's business explode and 2018 has already started out strong. At the end of February Cannabombz instagram account broke 10 thousand followers, and now in June they are about to pass 13 thousand! They were even asked to be part of a Press Dinner recently, where companies like Forbes, LA Times, VICE, DOPE Magazine, Tastemade, Mashable, LA Weekly, High Times (and more) were introduced to their products. As a result of the reviews and articles it feels like Cannabombz is everywhere. From my own circle, I‘m seeing friends, acquaintances and colleagues ordering products. I’m also seeing companies I work with and respect very much, like Kush Kards and Kush Candles, working with Lindsey. It has been amazing to watch this company grow and to see the energy to continue to expand. Cannabombz has been leveling up daily and has been making associations with the best in the industry. Just last month Lindsey and the Cannabombz crew sponsored the Cowboy Vs. Alien party that Ladies of Paradise threw. As a result, the exposure they have received already is amazing, but this is going to be HUGE for their company. Over 115 consumers and influencers went home with Cannabombz products. They got to try them for themselves and figure out what I already know to be true. These products are really helping people and giving them their lives back! Now let’s talk about the products themselves and the range of topicals that they offer! First things first- these products are either infused with just CBD or a CBD to THC ratio. 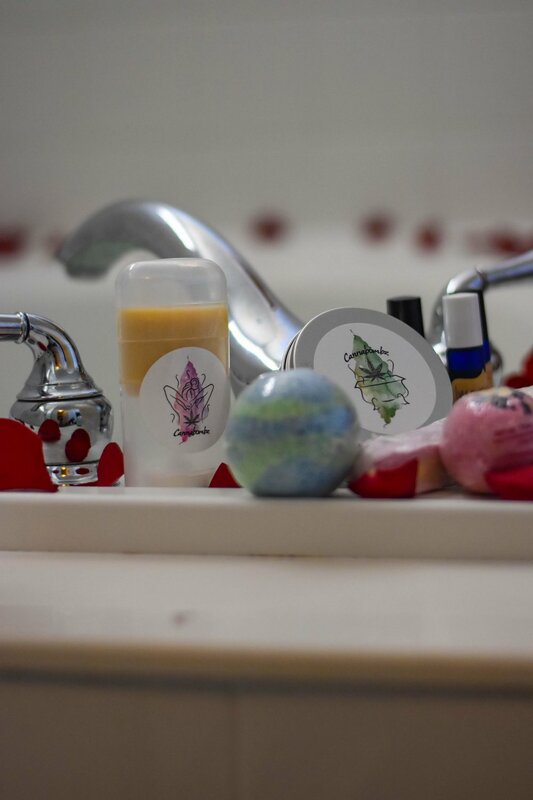 The ingredients that make up the bath bombz, salves, scrubs and everything else in the line are all organic products. In fact the herbs and floral aspects of the products all come from Lindsey’s personal garden. 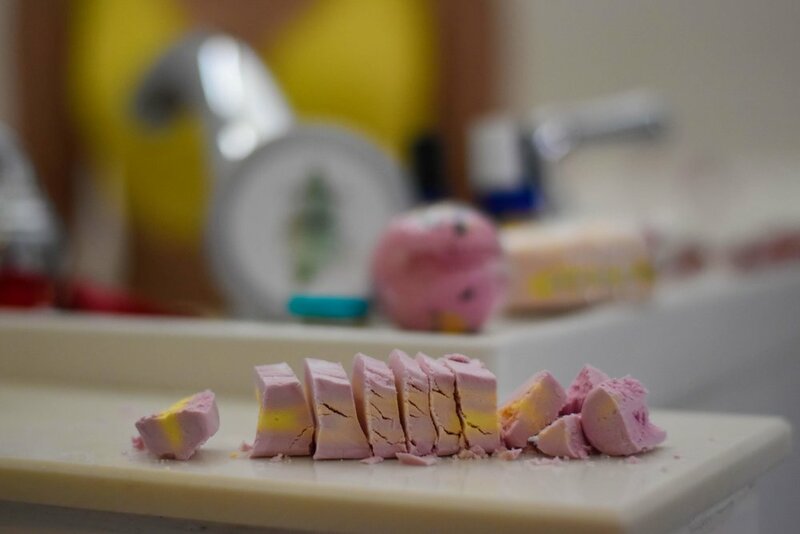 Their line includes bath bombz, bubble barz, lip balmz, lip scrubz, roll onz, and pain relief salves! I have yet to try one of her products and be disappointed - I will also admit that I have gifted some products or let friends try them and they have all had wonderful things to say! If you don't believe me order some for yourself. In creating the Cannabombz line of products, Lindsey has definitely established a high bar for products in this space. She is “so incredibly passionate about the magic that is cannabis. [For her] being able to be in the cannabis industry, help people and be [her] own boss is truly a perfect trifecta of a career! [She] can’t believe this is her life.” I personally want to thank Lindsey for the relief that her products have brought me and those close to me. Keep up the great work and bringing quality products to the cannabis community!